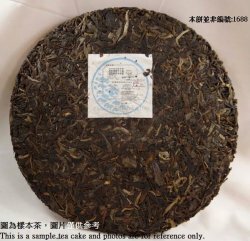 Experience: Compressed according to the fine turned formula consisting tea leaves plucked in the spring of 2006 from three famous cultivation areas of Yunnan province, namely “Mengku”, “Menghai” and “Wuliangshan”, “Collection Series No. 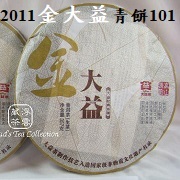 1” offers you a thick liquor with light yellow honey color. 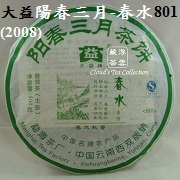 The long lasting cool aftertaste is one of the characteristics of this tea when it is still young. More: When blending this tea, Cloud specifically increased the proportions of tea leaves from “Mengku” and “Wuliangshan” so as to give a thicker tea broth and stronger aftertaste. 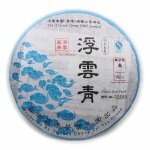 Tea cakes with this kind of tea broth and aftertaste reflect their great potential in aging ability. Thus the aged taste of “Collection Series No. 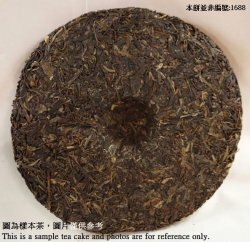 1” after many years of aging is most expected to many of the tea lovers. 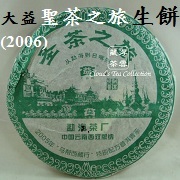 To satisfy tea lovers who have not had the chance to buy a piece of “Collection Series No. 1”, we break up some of our private stock and pack them into 100g per box. Better get it fast while stock last. 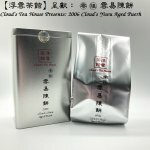 For more information about “Cloud's Raw Puerh”, please visit www.cloudsgrouphk.com. 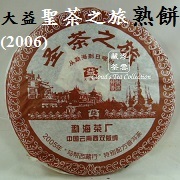 Brewing Tool: Use a tea bowl (Gaiwan) or a purple clay teapot. Amount of Tea leaves: 10g or one forth of the brewing utensil's volume. Before you brew: Rinse it with boiled water once, it will not be drunk and thus will not be counted as the first infusion. and brew it as many times as you want until the tea broth is not strong enough.